Gimota AG is ISO-Certified by SWISO since 2002. ISO 9000 was first published in 1987 by ISO (International Organization for Standardization). It was based on the BS 5750 series of standards from BSI that were proposed to ISO in 1979. 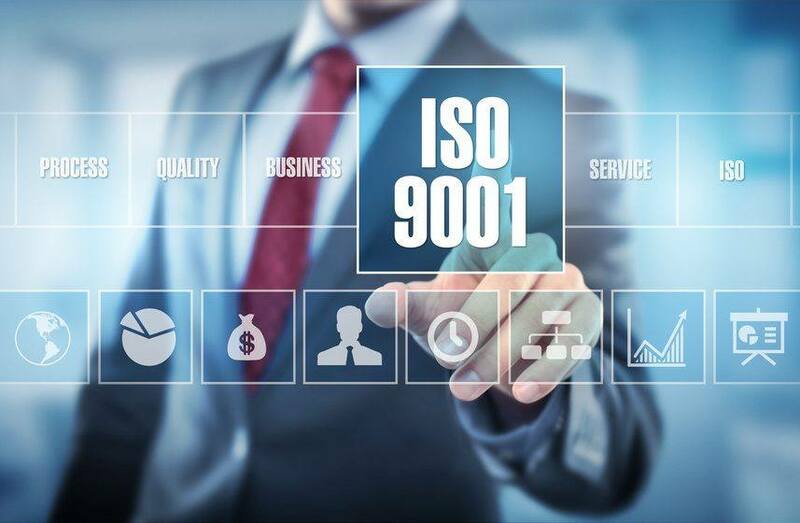 The global adoption of ISO 9001 may be attributable to a number of factors. A number of major purchasers require their suppliers to hold ISO 9001 certification. An organization applying for ISO 9001 certification is audited based on an extensive sample of its sites, functions, products, services and processes. An ISO 9001 certificate is not a once-and-for-all award, but must be renewed at regular intervals recommended by the certification body, usually once every three years. There are no grades of competence within ISO 9001: either a company is certified (meaning that it is committed to the method and model of quality management described in the standard) or it is not. In this respect, ISO 9001 certification contrasts with measurement-based quality systems. ISO 9001:2008 in essence re-narrates ISO 9001:2000. The 2008 version only introduced clarifications to the existing requirements of ISO 9001:2000 and some changes intended to improve consistency with ISO 14001:2004. There were no new requirements. It is widely acknowledged that proper quality management improves business, often having a positive effect on investment, market share, sales growth, sales margins, competitive advantage. Implementing ISO often gives the following advantages: Creates a more efficient, effective operation - Increases customer satisfaction and retention - Reduces waste and increases productivity - Common tool for standardization. In 1992, BSI Group published the world's first environmental management systems standard, BS 7750. Prior to this, environmental management had been part of larger systems such as Responsible Care. ISO 14000 is a family of standards related to environmental management that exists to help organizations to minimize how their operations (processes, etc.) negatively affect the environment (i.e., cause adverse changes to air, water, or land); and comply with applicable laws, regulations, and other environmentally oriented requirements; and aswell continually improve in the above. ISO 14001 sets out the criteria for an Environmental Management System (EMS). It does not state requirements for environmental performance, but maps out a framework that a company or organization can follow to set up an effective EMS. It can be used by any organization that wants to improve resource efficiency, reduce waste, and drive down costs. Using ISO 14001 can provide assurance to company management and employees as well as external stakeholders that environmental impact is being measured and improved. ISO 14001 can also be integrated with other management functions and assists companies in meeting their environmental and economic goals. The current version of ISO 14001 is ISO 14001:2015 which was published in September 2015. The new ISO 14001:2015 standard has been published and includes several new updates all aimed at making environmental management more comprehensive and relevant to the supply chain. One of the main updates is to consider environmental impacts during the life cycle — although there is no requirement to actually complete a life cycle analysis. In addition the commitments of top management and the methods of evaluating compliance have also been strengthened.